Today I'm 33 weeks pregnant. That's 33 weeks of watching my body change. Watching my body grow. Watching my body do things that aren't particularly pleasant and some that are just truly amazing. It's also been 33 weeks of closely monitoring my body and the changes that have been happening. And for the most part, I've been very lucky with a pretty physically easy pregnancy. All tests and scans come back to us (me and our little guy) being healthy. But mentally, it's been a bit of a struggle. See, I'm a worrier. Not a, 'stays-awake-all night-thinking-about-the-worst-case-scenario' kind of worrier but I just like to think I'm doing things right. I also like to be mentally prepared for whatever comes my way, which sometimes means that I look into things too much, or I'm unable to brush things off as easily as I'd like. I have, however, tried to take a different approach in pregnancy. I know that a lot of things are out of my control and what will be will be - so I've really tried to just chill and go along with whatever happens. But it's been hard. When you're pregnant, suddenly you're under everyone's watchful eye. Everything is commented on. By medical professionals. By your family. By friends. By people you don't even know. Suddenly your body isn't really your body anymore, it's something to examine and dissect - to be monitored. And I understand that. I know it's part of it. And I appreciate the level of care that goes into pregnancy, especially from medical professionals. Because I know that if anything did pop up, I'd be well looked after. At the end of the day, you'd rather be safe than sorry. What has been grating me though, are the comments on my body. On all pregnant bodies. The, "whoa that's a big bump," or "oh my gosh, you're really popping out!" Even, "what have you been feeding that baby?" It might just seem like a throw away comment, but it can be interpreted as so much more. Every woman, body and baby, are unique. We all carry differently - some women have bigger bumps, some barely show throughout their whole pregnancy. We all start at different weights, are told to gain no more or no less than a certain amount and our weight is monitored for nine months. Some of us even have medical conditions like PCOS, obesity or a history of diabetes, which means we already have to have more weight focused tests and appointments because we are at risk. 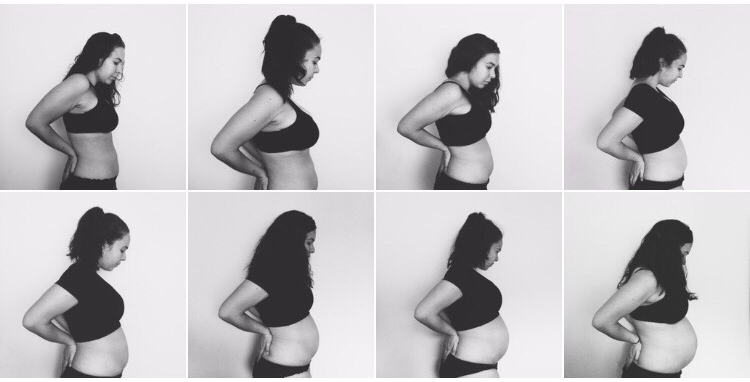 We might have a history of body dysmorphia or eating disorders and are still trying to come to terms and accept the changes that are happening over the nine months of pregnancy. And your harmless comments can be exactly what a mum-to-be doesn't need to hear. I have PCOS and a family history of diabetes so when I hear comments like the above, I don't hear "oh a big bump means a nice healthy baby." I hear, "you're eating too much," and "you're not exercising enough," "be careful because you might get gestational diabetes. "And although they're usually just light-hearted comments that aren't coming from a nasty place, it's the last thing I want and need to hear when I'm already trying to worry about doing everything right. And that's the thing, you just don't know. You wouldn't say to someone's face that they've put on weight or need to eat more, so why comment on how big their bump is? 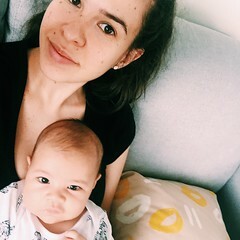 Carrying a baby, being the sole carer and provider, and the one person responsible for the growth and life of a little unborn human, is an incredible experience - but it's also super mentally and emotionally draining. We put so much pressure on ourselves to stay on track, to do as we're told, to make sure we're doing everything we can to have a healthy baby. So instead of commenting on our body and its changes, why don't you ask how we are? How we're finding the pregnancy? We know we have a bump. We see it too. We are well aware of how our bodies have changed. And yeah, maybe I'm being a little sensitive (hello hormones!) and need to develop a thicker skin, but I think mostly, people just need to back off a bit. There's so much more to a pregnancy than the size of the baby bump, so how about we talk about that instead?